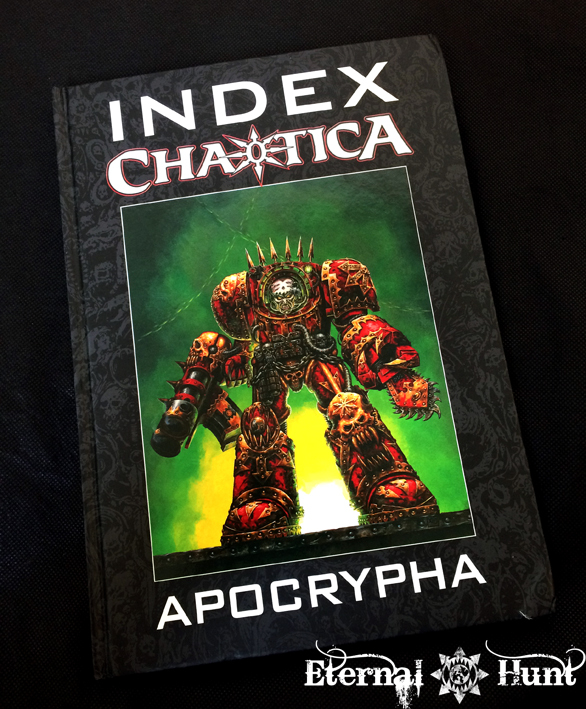 One of the more frustrating parts of the 2016 Christmas season was my attempt to get hold of a) the Traitor Legions Codex Supplement, b) Canoness Veridyan and c) the Index Chaotica book. 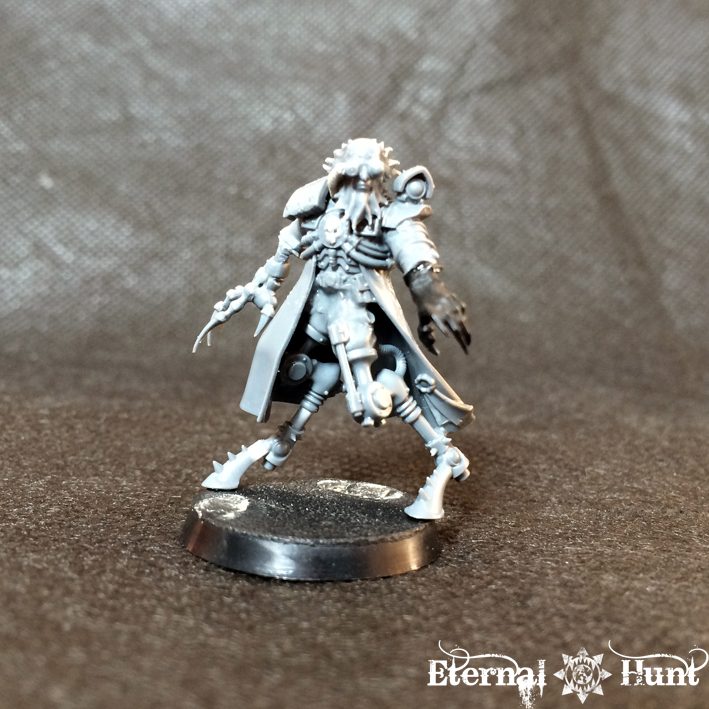 The Canoness, in particular, sold out about three or four times, and once the model was finally back in stock, the Index Chaotica was gone for good — or at least that’s what it looked like then. Enter fellow hobbyist Augustus b’Raass (whose fantastic work you might want to check out here, by the way): Auggs was nice enough to swing by the Amsterdam GW store, pick up a spare copy of the book and send it my way — that was really awesome and yet another proof that this hobby of ours is full of wonderfully generous and thoughtful people! As for the book itself, while I am writing this, it seems to be back in stock, so is it worth it? I’d say so, yes. The cynic in me wants to poke fun at the fact that it’s basically a – ever so slightly haphazard – collection of pre-published content, but then the stuff from Realm of Chaos, for instance, is only really available in the original books, and you’ll be paying through the nose if you want to obtain one of those. Plus the vintage chaos content is simply that good: sinister, evil, spiky and occasionally darkly humorous. And some of the classic artwork is still spectacular. 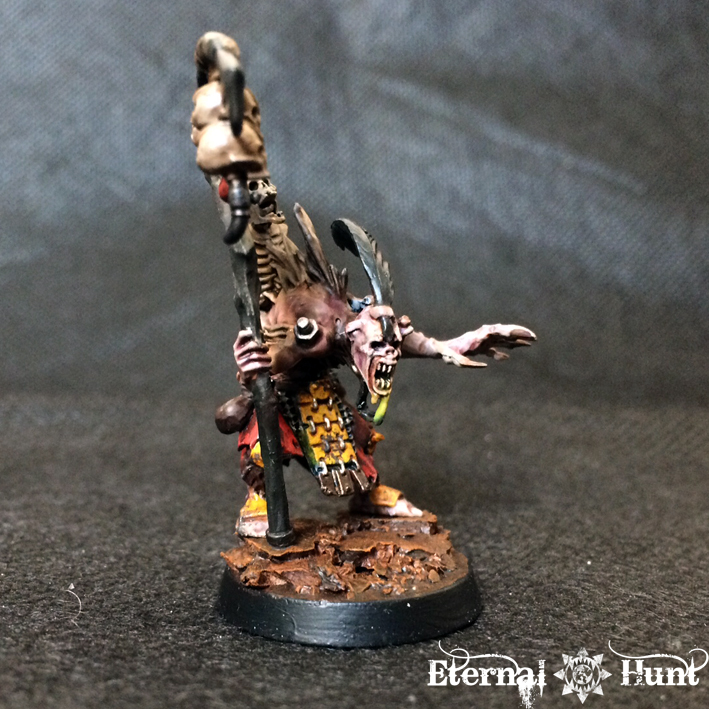 I still remember when this image appeared on the box of the Chaotic paints set (Tentacle Pink FTW! ), and I was spellbound and tried to figure out what I was actually seeing — the lumbering war machine in the back was especially fascinating, as it subtly hinted at a WFB/40k connection. 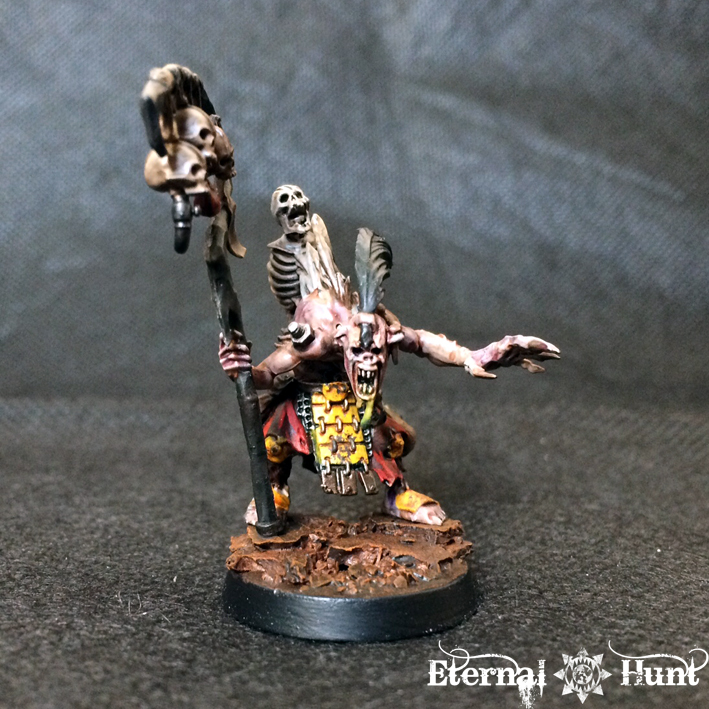 From a modern standpoint, I’d say it’s actually a depiction of a Lord of War, a Khornate daemon engine from Epic 40k that eventually grew into the modern Lord of Skulls. 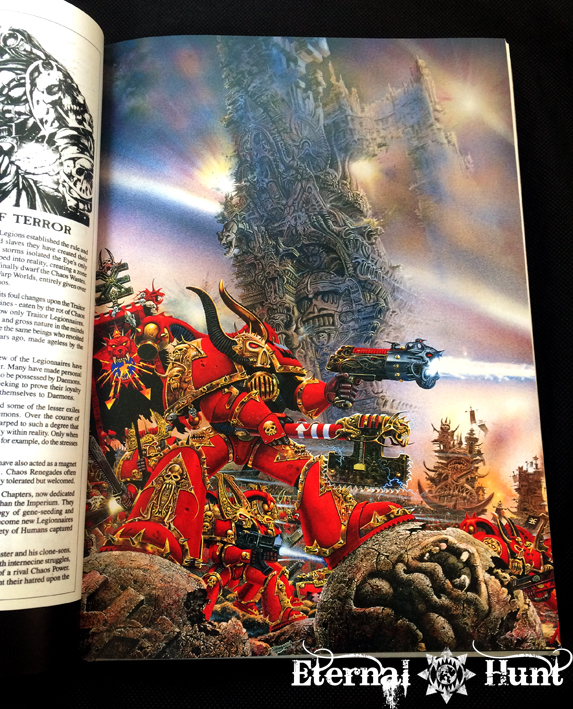 It also serves as living proof of how much more awesome GW artwork was when it didn’t limit itself to picturing available models — but that’s a subject for another time. Actually, Jes Goodwin’s design sketches are yet another reason to pick up the book: I cannot help marveling at the quality of his concepts for the four cult legions and the original 2nd edition CSM special characters –incredible stuff! 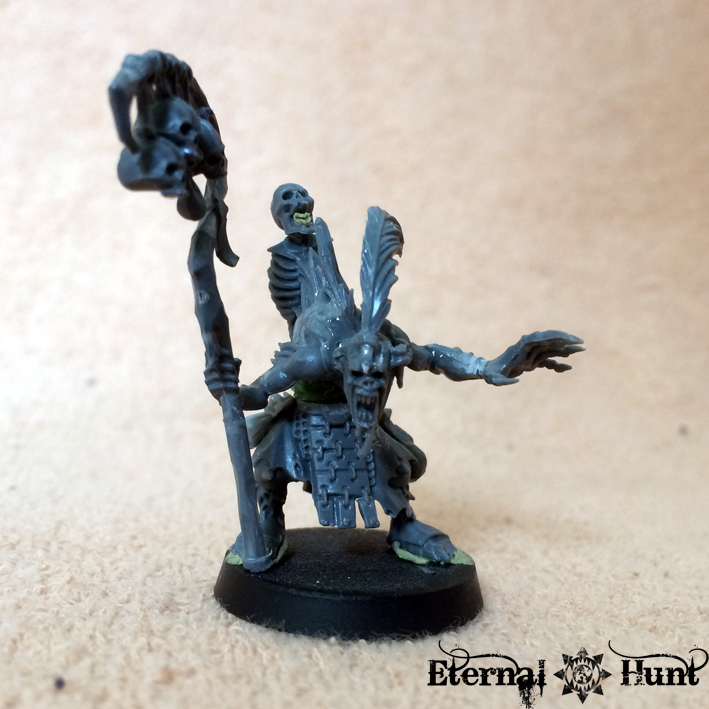 Now this little warband project was basically started as a fun diversion (and as a way to channel some of the influences from the Mad Max universe), but before I realised it, it had already started to take on a life of its own, coagulating into a little retinue. 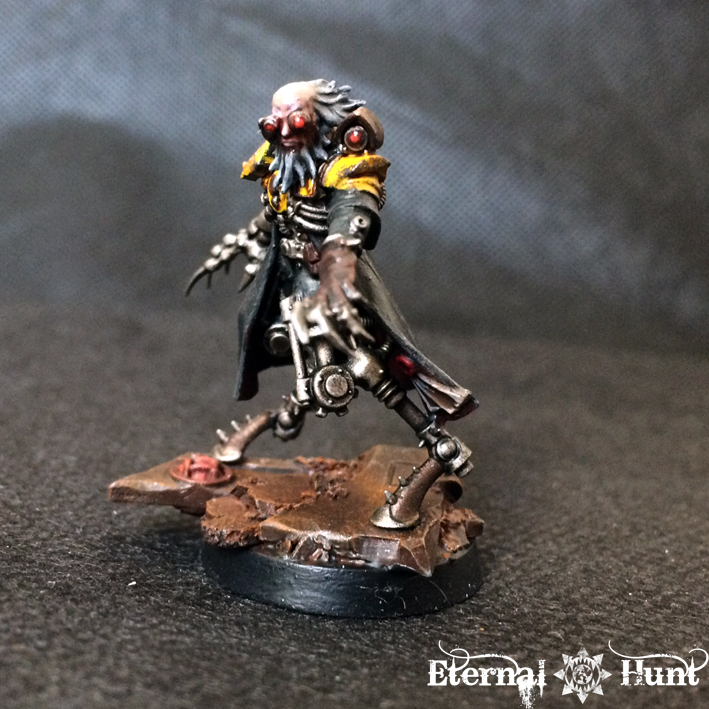 The basic idea here was to start with some of the pit slave tropes introduced by Necromunda, but move beyond those character archetypes to include mutants, gunmen or even former Imperial adepts and shape them into a gang of malcontents that have disappeared between the cracks of the 41st millennium. 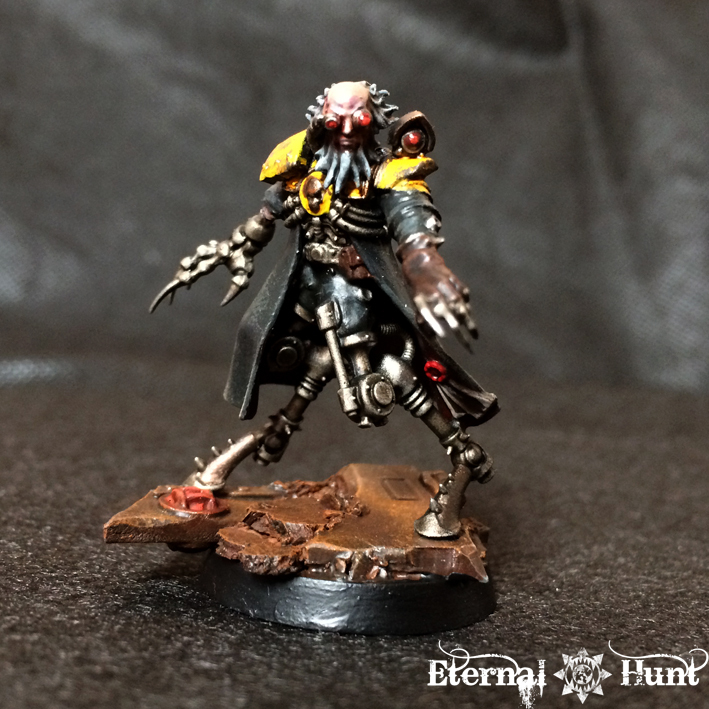 This is Solon Antonov, nicknamed “The Doktor”, formerly a low to mid-tier member of the Adeptus Mechanicus who stationed on St. Sabasto’s Reach to select suitable slaves to undergo augmetic modification and be transported off-world, to spend the rest of their sad lives toiling away in one of the mines or forges of the Velsian Adeptus Mechanicus. But, surprising enough for a man mostly made from metal by this point, Antonov discovered he still had a heart after all, and absconded with a group of slaves. Ever since, he has been the brains behind the “Road Crew”, tasked both with planning their activities and with the “maintenance” of its various members. 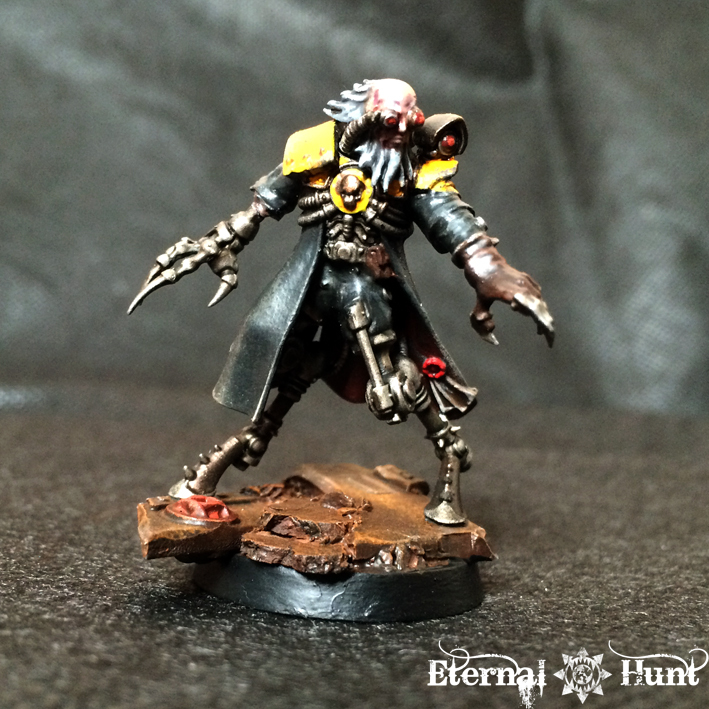 All in all, this project is a lot of fun, because it allows for some very organic kitbashing and painting. It’s also a nice vehicle for telling a somewhat more intimate story: These guys aren’t part of the fight for the Emperor’s soul, they just want to get by. That being said, it’s kinda interesting to explore the contrast between their humanity and their somewhat distressed, grotesque outer appearances. From left to right: Crusher Vexx, Tiny (the Road Crew’s battle captain), Doktor Antonov, Grimspyke, Chopper and the PIP twist witch doctor (if anyone has a cool idea for a name, I’d love to hear it). 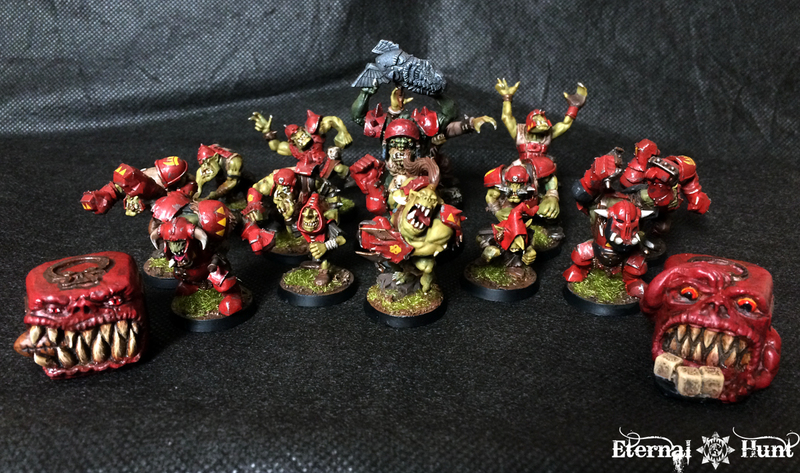 By the way, we’ll be taking a closer look at one of Annie’s Blood Bowl teams in the near future, if only to show you her fairly different approach as well as her balls-to-the-wall crazy and creative ideas for the team. You should definitely look forward to that! So yeah, as you can see, I am finally back into the swing of things! And I would love to hear any feedback you might have — just drop me a comment or two! And, as always, thanks for looking and stay tuned for more! 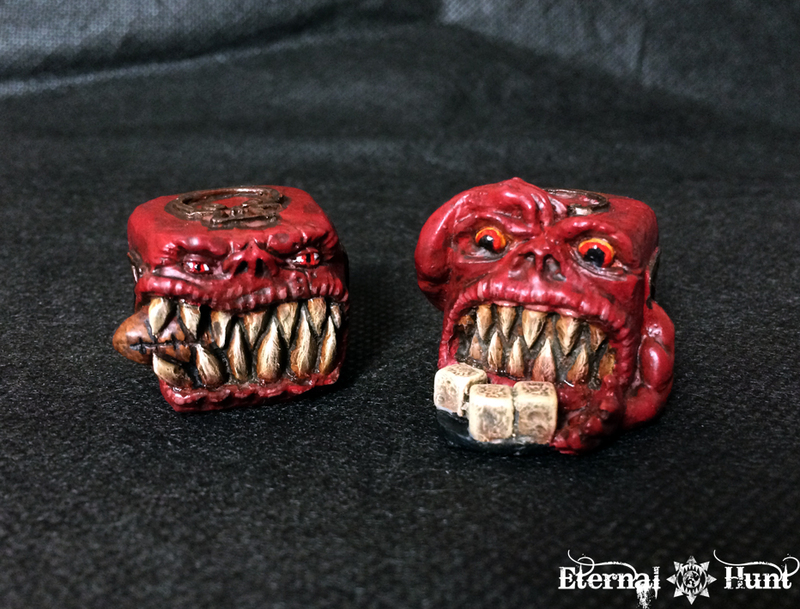 This entry was posted on February 14, 2017 at 16:54 and is filed under 40k, Blood Bowl, Chaos, Conversions, Fluff, Inq28, Inquisitor, state of the hunt, WIP with tags 40k, blast from the past, blood bowl, chaos, conversion, dice, fluff, Index Chaotica, INQ28, Inquisimunda, inquisitor, kitbash, mutant, necromunda, orkheim ultraz, paintjob, the road crew, twist, WIP. You can follow any responses to this entry through the RSS 2.0 feed. You can leave a response, or trackback from your own site. Nice to see you’re back in the swing of things. This is my first time commenting but I’ve been following this site for a long time and I was starting to get concerned. What would I do without your fantastic in-depth kit reviews? 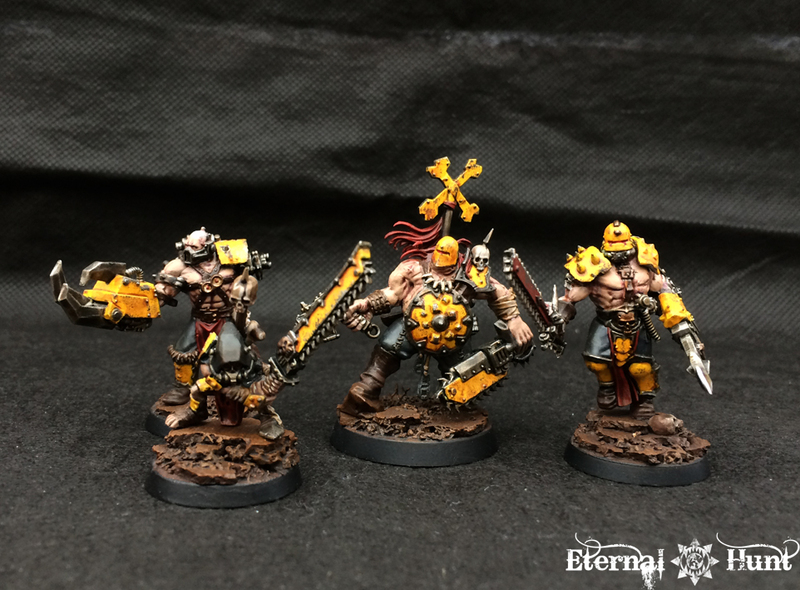 The Road Crew look very cool, love the weathered yellow armour. Really like the way ‘Brains’ turned out. I’m practically angry that your one off projects turn out cooler than my main models. 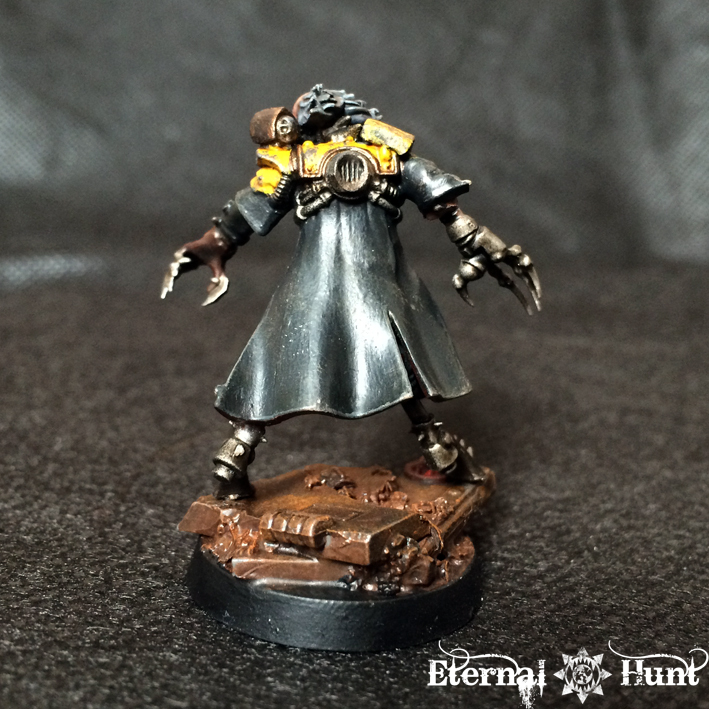 The Doktor is so cool! When you first started I wasn’t sold on the Road Crew, but now I would pay money for kits for those models. I absolutely love them. Random question – did you get my email? Nice job Krauty, the road crew are looking awesome with the latest additions! Are they going to get a ride in the near future?? Cheers, Alex! And oh yeah, a ride is definitely in the cards — I already have an old Gorkamorka trukk set aside for it, and it should work really well once finished. 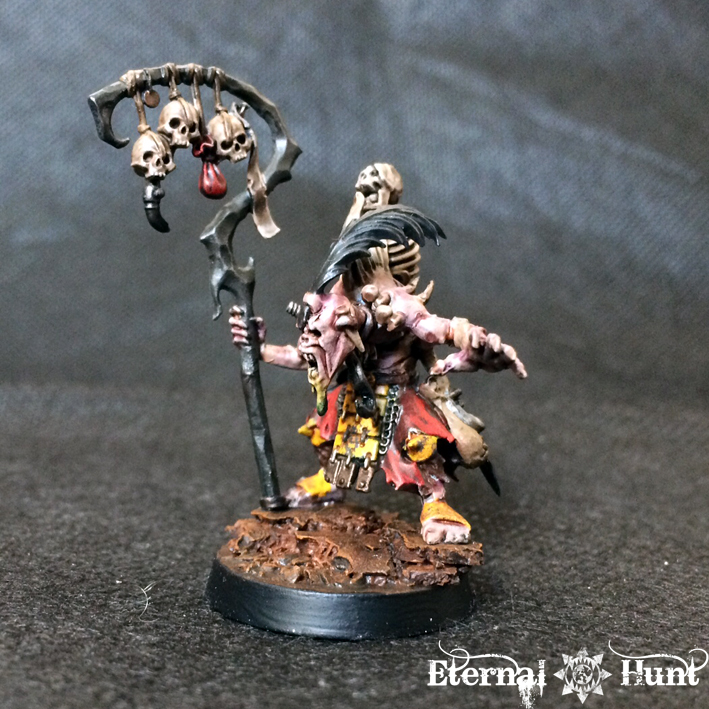 Lovely use of those nob bitz in the kitbashing! Thanks, man! Those nob bitz really made a change on the two gladiator types! 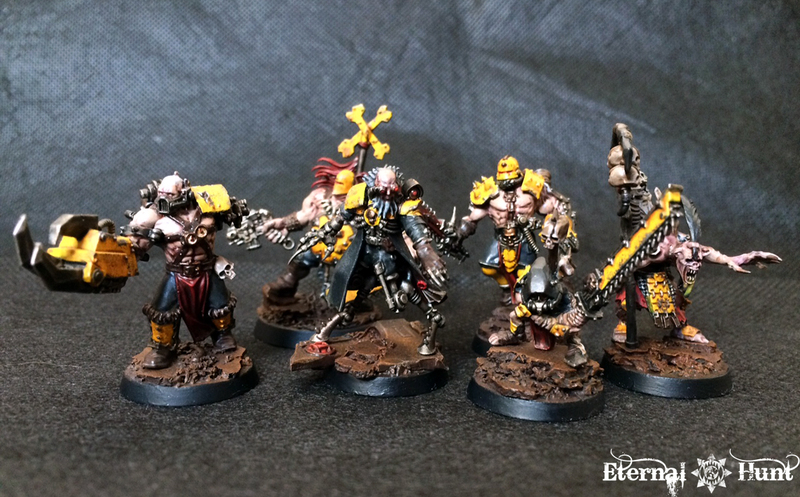 Very cool conversions! Love the paintjob. 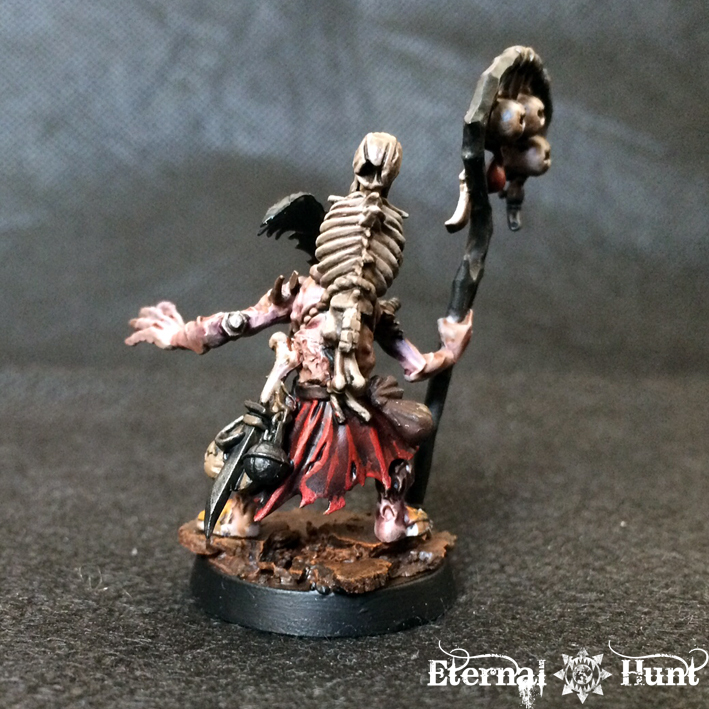 Yep those were the Taylor pieces i think of when i see your army. Something indelibly connected i assume . 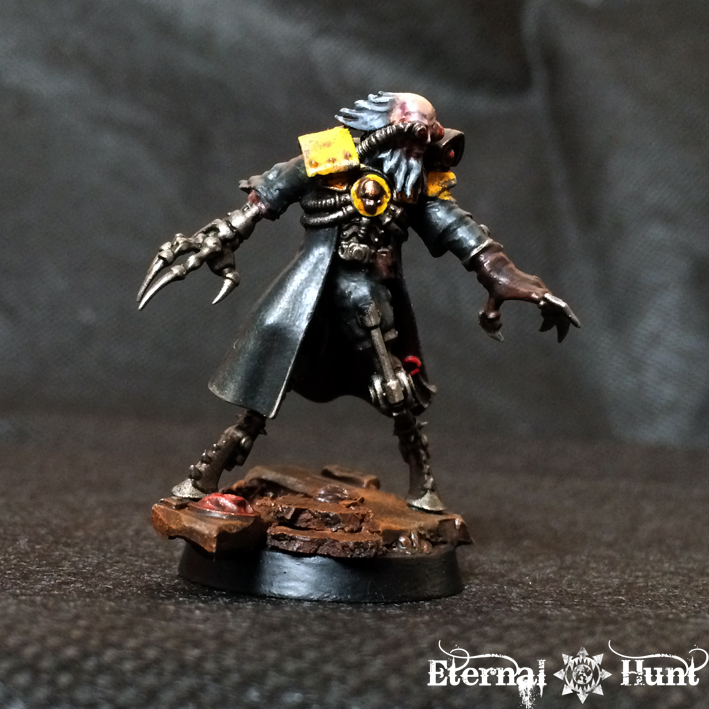 Only within epic is that 40k grandeur attainable . I miss seeing those trundeling machines of war. 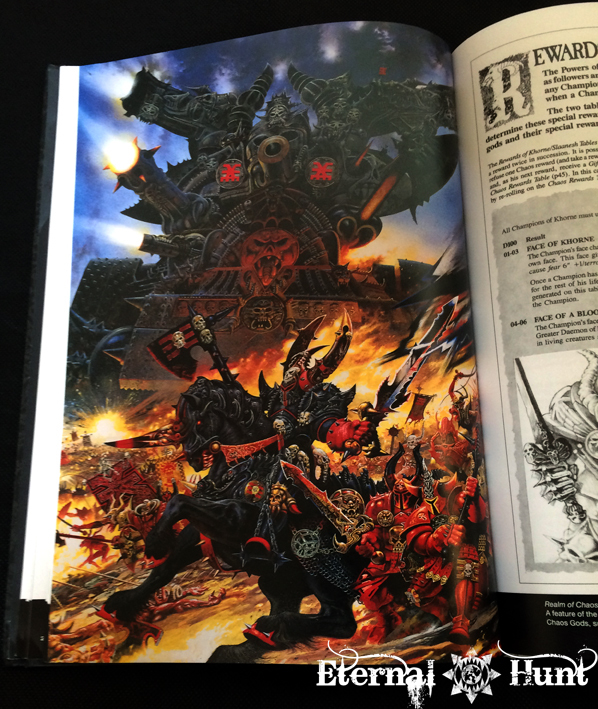 The Mark Gibbons berserker is one of the best pieces of artwork ever produced by GW. Glad to see it is in the book. Thanks for sharing. Love the road crew as well. Maybe Shakes the witch doctor? Cheers, Ron! I can only agree about that Mark Gibbons berzerker — a timeless classic! 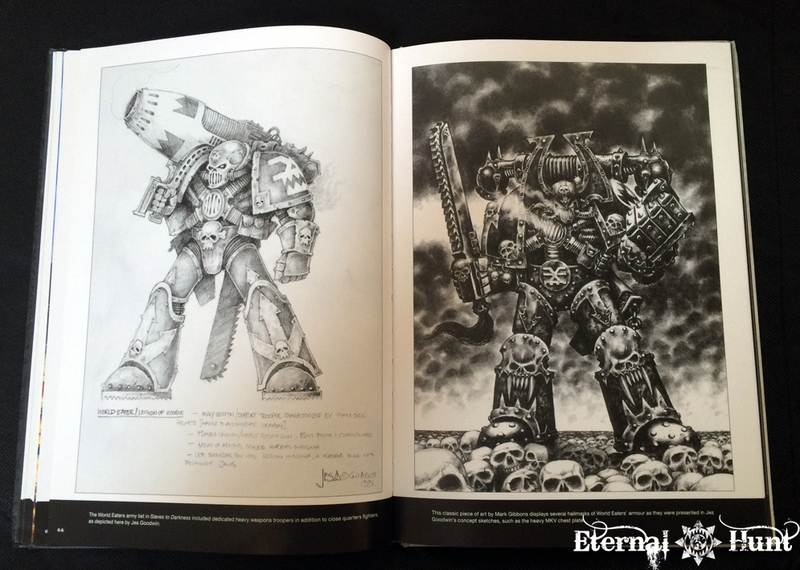 What’s really great about the Index Chaotica book is how it shows that the various pieces of art closely mirror Jes Goodwin’s original World Eaters sketches. I really appreciated that “behind the scenes” perspective!